Take your slow cooker out of the pantry and put away the stress of holiday cooking and baking this year. "You absolutely can make holiday meals with ease and with pleasure!" 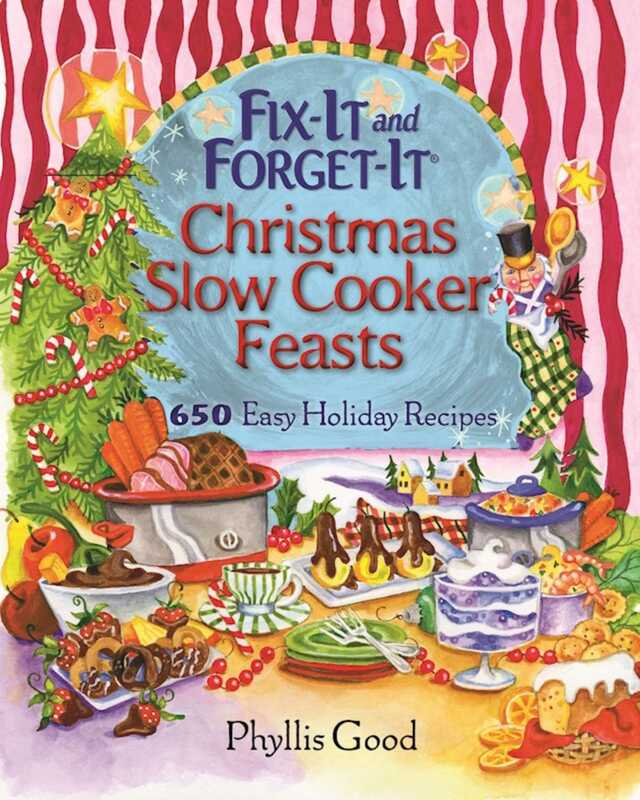 says slow cooker champion Phyllis Good. Here are 600 slow cooker recipesplus 50 delicious go-alongs (sides, salads, and beverages)that will wow your friends and family and free you up to spend quality time with loved ones. From Honey-Dijon Holiday Ham to Stuffed Acorn Squash to Eggnog Gingersnap Custard, there are recipes here to indulge every palate. Phyllis Good is beloved for providing recipes that are simple and made with ingredients you can find easilyif you don't already have them in your cupboard. Who has time to search for obscure, gourmet ingredients around the holidays? Holiday cooking has never been easieror more delicious.